The Italian region of Bergamo, where the production of inlaid furniture is well known, is the point of departure of Natalini. 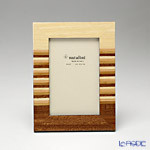 The fusion of the mold process and the newest sharp laser cutting makes the high quality inlaid wood frames. The traditional know-how of inlaid consists on combining chips wood of lemon, walnut or olive trees. Its back is covered by velvet, and gives the mood finer, either in classic or in modern rooms. 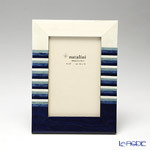 Since 1979, old and new skills are brightly harmonized by Natalini.